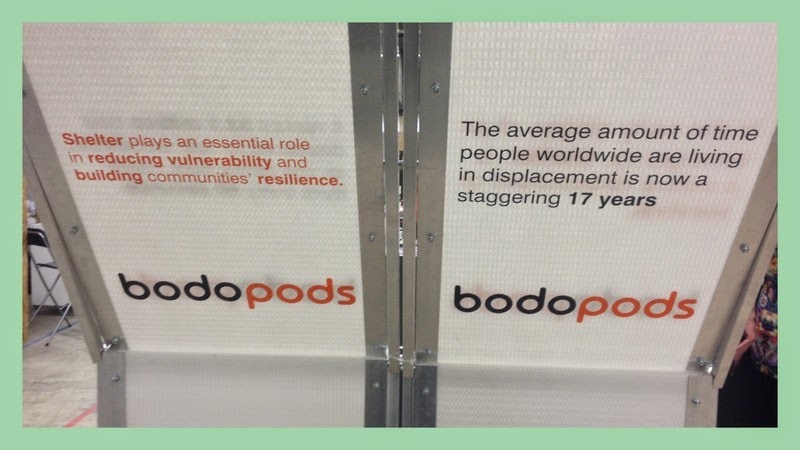 Bodopods are disaster relief shelters; rapidly deployable, lightweight, secure, and much more sturdy than the alternative (a tent or the like) – so therefore perfect to endure the emergency phase, through to transitional shelter phase, for a displaced group of people. Obviously this is not something that you or I are likely to need any time soon (God willing) – but it struck me how often we overlook the victims of natural disasters, or civil wars, and their circumstances. How quickly we move from the “that’s just terrible news, let’s say a prayer for the people in Haiti..,” to the “…I wonder how they’re getting on now..,” phase. This was, without question, the stand that made the biggest impression on me – and I truly hope Russ receives financial backing and success with his invention.